My gel moisturizer of choice is currently Vichy Aqualia Thermal Aqua Gel. Its quite new in the Vichy skincare range and is a light gel texture that’s translucent and feels watery and cool on the skin. I was using it as a day time moisturizer before. It works great because its so light and non sticky and keeps my skin all lovely and moisturized and interestingly, cools down my skin too! But I’m using the Guerlain Super Aqua Triple Protection in the day now, so my Vichy Aqualia Thermal aqua gel is my weekly “sleeping pack” mask. Here’s how I do it. I’ve done this before too with H20+ Face Oasis and Clinique Moisture Surge. Works like a charm every single time, so long as the gel moisturizer is suitable for your skin. I’m actually really liking the Vichy Aqualia Thermal aqua gel moisturizer. Works very well for me both as day moisturizer and mask and cools down my skin in hot weather. When I’m at home during the weekends, I like using it as a day moisturizer for this purpose. There is a scent which would have been nicer if they did not add it but did not bug me very much. For those for whom it matters, it is oil free and paraben free but does contain alcohol and dimethicone. At RM100/50ml its pretty affordable and it works for me. Oh I remembered – have you tried L’Oreal’s Hydrafresh? I’m also really curious about that one and will buy the L’Oreal range once I’m done with my Clinique stuff. When you mean “layer it on” do you mean just pust on some moisturizer on your face without rubbing, and leave in be?!?! Yes, just apply a thicker layer than normal and spread it on your skin. any gel moisturizer will do? Thus far for me, yes. I’ve tried it with most gel moisturizers and it works so long as its suitable for your skin. Well, I am currently using Laneige Sleeping Pack. But when I got some Moisture Surge to use as a hydrator, I noticed that the next morning, my skin appeared brighter and more supple, the same effect I got when using Laneige Sleeping Pack. Garnier Aqua Defense Non Stop Intense Moisturizing Essence works like a charm too.. I love it as a sleeping mask. Do you think it’ll work for gel moisturizers with alcohol? Well Vichy’s does but it works for me. My guess is that if the gel moisturizer is ok with your skin, using a thicker layer as a “mask” won’t make a difference. If your skin is sensitive to alcohol in moisturizers then that might cause problems anyway. Love ya Paris for adding the “does contain alcohol” part!!! the aqua pudding thing by elishacoy IS working well to moisturize my skin and does not break me out, am happy! but not sure if it cna be sued as a sleeping pack. hmm. am super tempted to try this Vichy one out tho, i’m a sucker for gel moisturizers! I tried Za Hydrating Gel as my sleeping mask few years ago. But the texture is a little to thick. I stopped using it as sleeping mask but continue it as my moisturizer. Until i tried Laneige sleeping pack. I like it so much. Paris, you the newer version of sleeping pack which has the brightening effect on face. The Face Shop’s Raspberry Sleeping mask also another good product. I am using Vichy’s products and also had tried most of their products except this one. 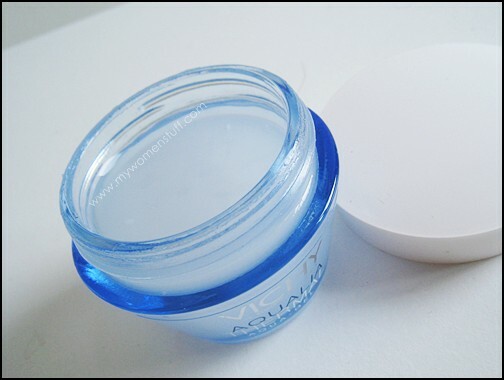 I think this is a new moisturizer,….Currently I am using the Aqualia Thermal Mat Fortifying Soothing 24hr Hydrating Gel. 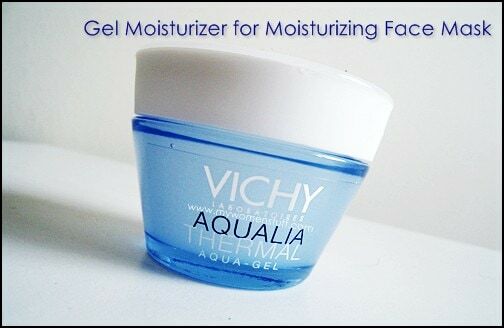 I heard they going to discontinue this product with a new one.Maybe is this Vichy Aqualia Thermal Aqua Gel. sorry to hear. i thought laneige skincare is great but what’s it that put you off? The Clinique Moisture Surge actually recommends you use it as a 5 or 10 minute mask! I do it all the time & my face feels super soft & fresh after. Used Neutrogena (can’t remember the name) blue container gel moisturiser as sleeping pack too. Found that it clogged pores and small bumps actually rose. I guess it’s too rich for my skin as a mask but doing fine for night moisturiser. I don’t use it as day moisturiser because it flakes if I apply sunblock after moisturiser dries. Nothing. It’d all have been absorbed. This sleeping regime is a great solution Paris I cannot tell you how much it effected my skin (in a good way :)) Since I have occasional blackheads and clogged pores, I used to to a night regime (twice a week) where I exfoliate my face, use a clay mask (Kiehl’s) and apply salicilic acid solution and sleep. After one night all those nasty things are pretty much gone but my usual night gels (for oily skin) was not hydrating enough so my skin couldn’t get the balance it needed. Now after the night I did salicilic acid regime, the other night I use a moisturizing gel as a sleeping pack and in the morning my face is unbelievable soft and got that “toink toink” feeling 🙂 Thank you so much for your perfect solutions!! !